Nestled in the heart of Michigan, the City of Ionia is a dynamic community of more than 10,000 residents and 60,000 county wide. Come share the beauty, charm and history of Ionia. The City of Ionia is the largest city and the county seat of Ionia County, Michigan. Here on our website, you can quickly find information you need. Download files, make applications, get connected, and learn about our City. We are happy to assist you. 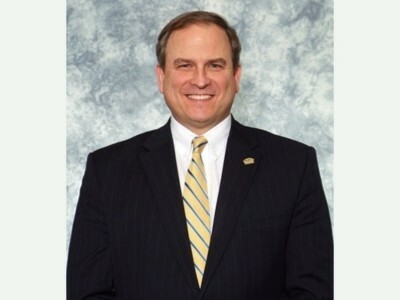 If questions, please phone City offices at 616-527-4170. Come savor the simple pleasures of life in Ionia and discover the many benefits our City has to offer. 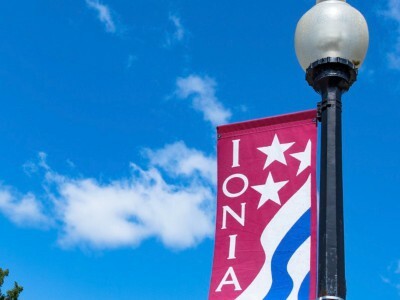 Ionia is nestled in the heart of the Grand River Valley, “In the Middle of it All.” Our city features a beautifully renovated downtown business district and a modernized industrial center. Ionia offers picturesque countryside along the scenic Grand River, rich farm lands, beautiful homes and a central location with easy access to Grand Rapids and Lansing. Ionia is home to numerous recreational and cultural opportunities where our history is combined with a vibrant future. Our area offers excellent educational programs and a broad spectrum of medical services. Whether you want to attend inviting events, walk along the Grand River or our extensive rail trails, enjoy our neighborhood parks and state recreational area, visit the Ionia County Museum, buy from the local farm markets, catch a current movie at the historic and beautifully restored Ionia Theatre, or view creations of local artisans, it is available to you in Ionia. We are proud to share the beauty, charm and history of our community, as well as the fun, exploring, outdoor recreation, shopping and dining. Situated along the scenic Grand River, conveniently located just a few minutes north of I-96, Ionia offers a central location for day trips to Lake Michigan, as well as easy access to downtown areas of Lansing, Grand Rapids, and many other regional attractions. Our vibrant community is family friendly and retains the charm of its origins, yet has a strong link to the future. Our beautiful historic Downtown District features a unique blend of shops and eateries. Here in Ionia, we put our heritage proudly on display in the present. Ionia’s blend of past, present and future, with it’s proximity to nature, culture and industry, makes it the perfect place to spend a day, a weekend or longer… Rich with history, neatly restored, and positioned for future growth, we think you will find Ionia a great place to visit and an even better place to live. 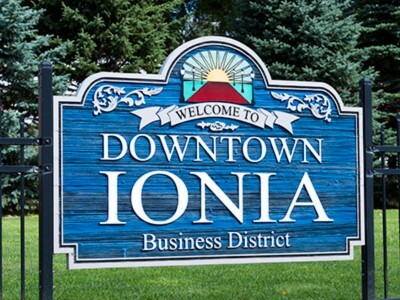 Whether you are a long-time resident, someone new to our community, a current business, or a new business looking to grow and expand, the City of Ionia wants to be helpful to you. Please look to us for answers, resources and ideas. 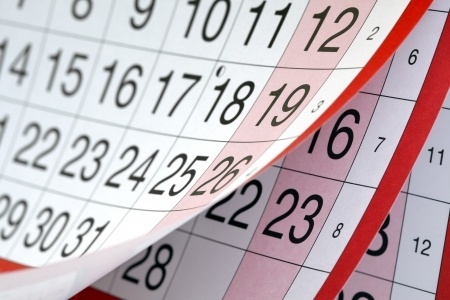 Check out our handy Search engine, our Staff directory, and our City calendar. You can make Online payments, download Meeting agendas and minutes, find out about Planning and zoning... and if you have a question or concern, you may Write to us here. You may also phone us at 616-527-4170. Thank you for your interest and participation with the City of Ionia. *Special Guest Appearance! ~ who could it be? The project to reconstruct Division Street (M-21 to Lafayette), Lovell Place and Terrace Court begins on Monday, April 15th with work first occurring on Division Street and then progressing to Lovell Place and Terrace Court. The project involves replacing underground municipal utilities and street surface improvements. Work is expected to be completed by mid-July. During the project, these three streets will be open to local (resident) traffic only. The project to reconstruct Dye Street and West Washington Street (Kidd to Dexter Streets) begins on Tuesday, April 16th. The project involves replacing underground municipal utilities and street surface improvements. Work is expected to be completed by mid-July. During the project, these two streets will be open to local (resident) traffic only. Adams Street/Jackson Street is the posted detour route. Access to the Ionia Post Office will be from Kidd Street ONLY and the two postal boxes on either side of Washington Street, west of Kidd Street, WILL NOT be in use. City residents/property owners may participate in the City-wide Spring Dump-Your-Junk Day which will be held on Saturday, April 20, 2019. Dumpsters will be available at the City’s Public Works Garage, 303 South Jackson Street. Dump-Your-Junk Day begins at 8:00 am and continues until 12:00 noon or until all the dumpsters have been filled. Materials NOT ACCEPTED include tires, lead acid batteries, yard waste, hazardous waste, liquids of any kind, barrels or drums which are not empty and crushed, compressed gas cylinders which are not empty and disabled, appliances containing Freon (unless a valid reclamation sticker is attached). Program questions may be directed to City Hall at 527-4170. The City will remove brush and bagged yard waste during the week of April 22, 2019 pursuant to the program guidelines listed below. All brush and bagged yard waste must be placed by the streetside by 7:00 AM, Monday, April 22, 2019 since streets will be covered one-time only. Yard Waste Removal Guidelines: The purpose of this program is to remove non-brush yard waste that is generated through spring yard clean-up (leaves, twigs, garden waste, etc). All yard waste MUST be placed in kraft paper (biodegradable) bags which are available for purchase at local hardware/home improvement stores. Loose yard waste and/or yard waste in plastic trash bags WLL NOT be removed. Brush Pick-Up Guidelines: The purpose of this program is to remove brush from routine lawn maintenance and not to remove brush associated with tree removal. Brush placed by the street-side may not be larger than 8” in diameter and not longer than 8’ long so that it can be handled by removal equipment. Brush larger than 8” in size may be disposed of directly by the property owner at the City’s composite site off Apple Tree Drive. 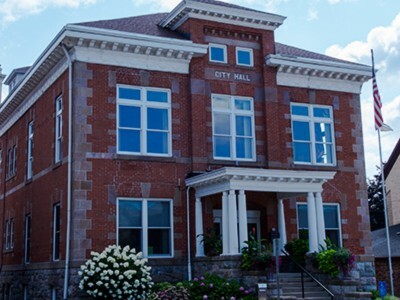 The City Council will hold a Special City Council Meeting at 5:30 PM, Tuesday, May 7, 2019 at City Hall for the purpose of reviewing the Fiscal Year 2019-2020 budget for all City funds as proposed by the City Manager. The public is invited to attend. The Regular City Council Meeting for the month will begin at 7:00 PM.